Ousmane Dembele is back in the Barcelona squad for Sunday’s La Liga match away to Athletic Bilbao while Lionel Messi was also included in the matchday group by the Catalan club. Barca coach Ernesto Valverde reiterated on Saturday Messi would play at San Mames only if he is fit, after the Argentinian started on the bench against Real Madrid on Wednesday due to pain in his thigh. 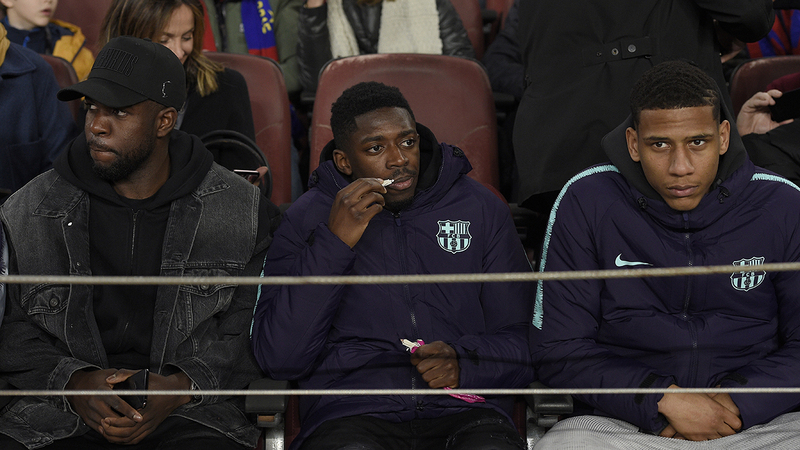 Dembele was not involved in the first leg of the Copa del Rey semi-final but is in contention to face Bilbao, having recovered from an ankle injury. The 21-year-old has scored six goals in his last nine matches but has not played since January 20. Samuel Umtiti, who has endured problems with his knee all season and has been out since November, has begun light training but was not included in the squad. “Little by little, we hope he can rejoin his teammates,” Valverde said. Barca will be looking to restore their lead at the top of La Liga to eight points after Real Madrid jumped into second by beating Atletico Madrid 3-1 on Saturday. The trip to Bilbao continues a hectic period for Valverde’s team, which includes three games in four weeks against Real Madrid, as well as a Champions League double-header against Lyon. “For any team in Europe, it’s barbaric,” Valverde said. “It’s very difficult to adjust mentally to a high-intensity match every three days. It takes a lot. This week coming up is good. We will refresh some things and then go again,” he added.